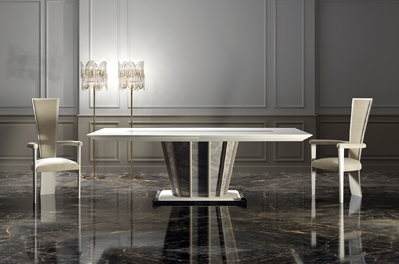 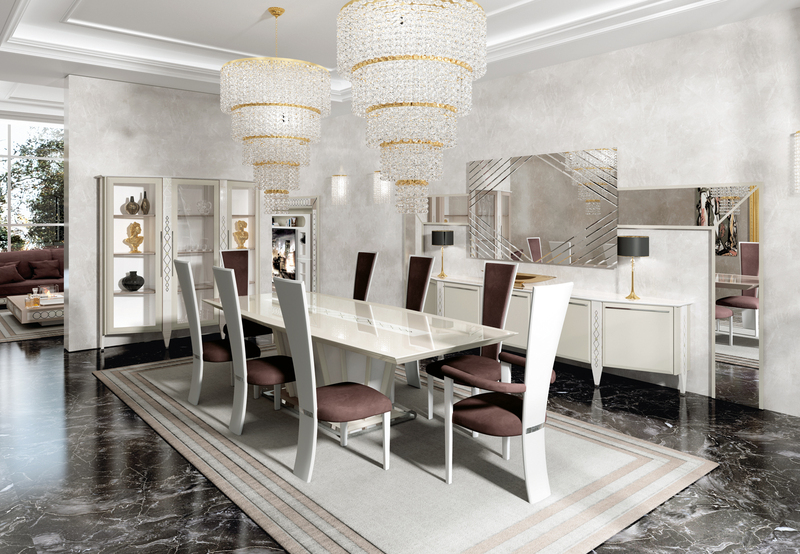 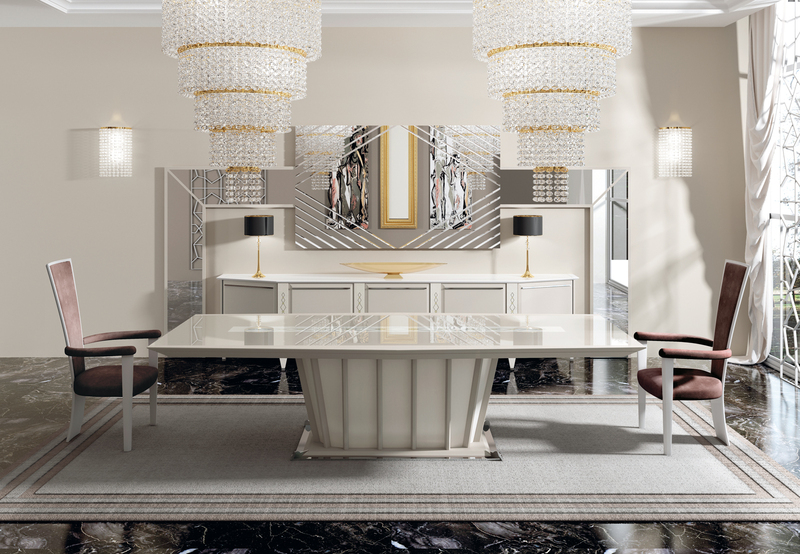 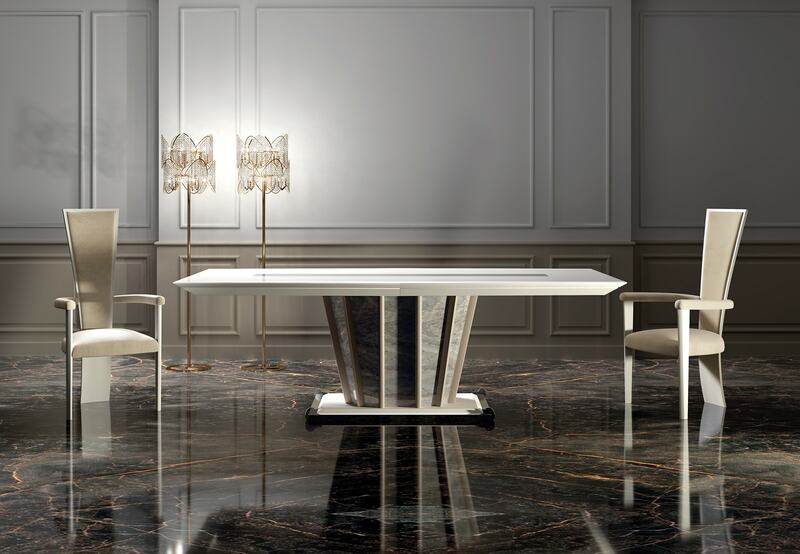 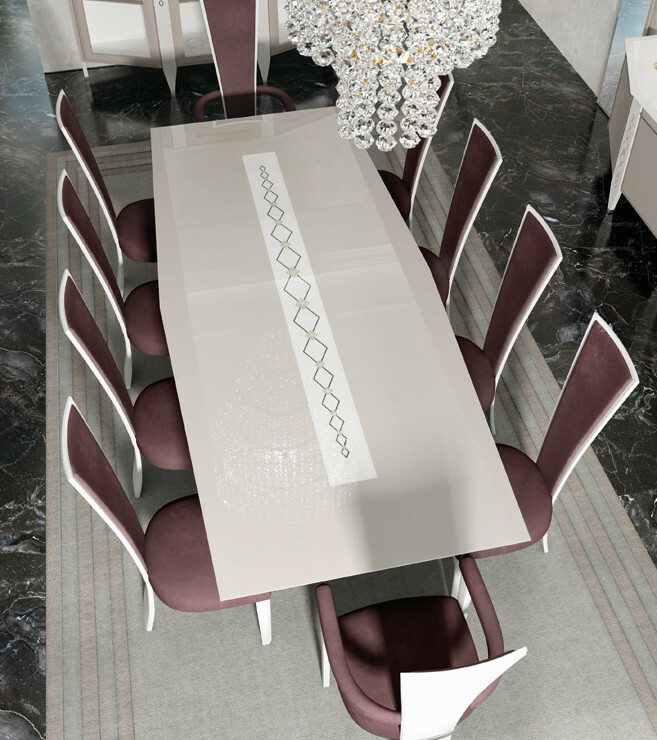 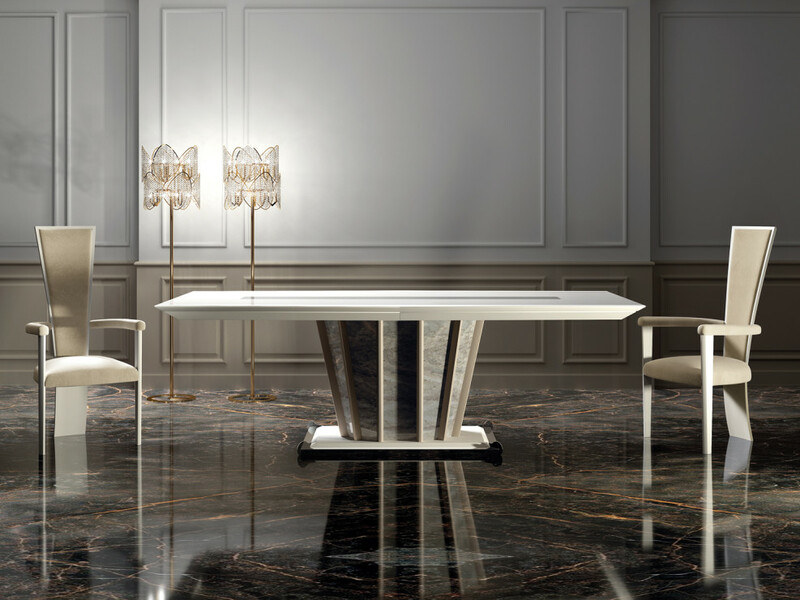 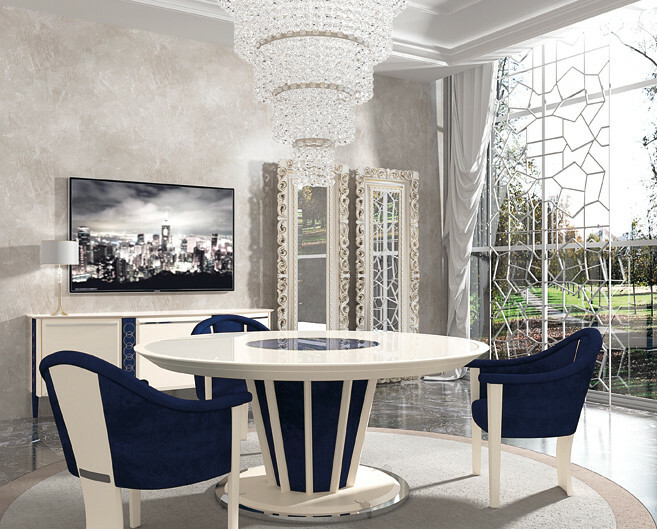 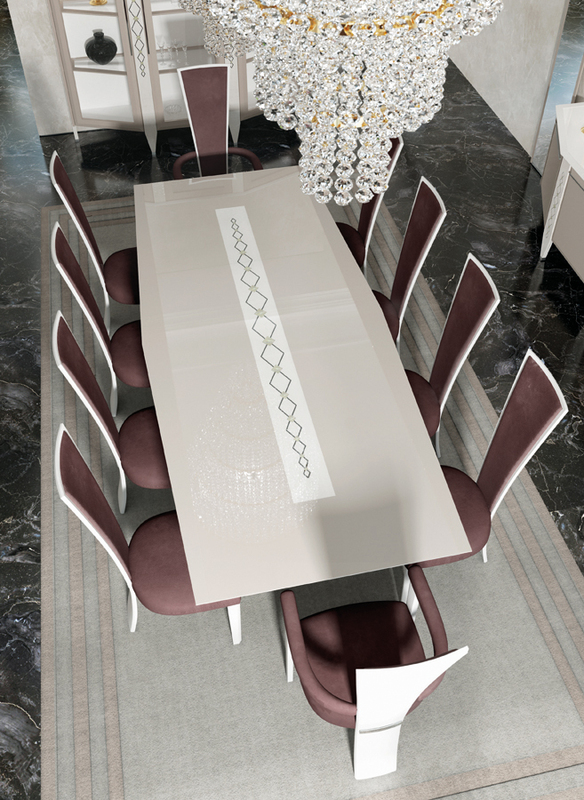 Vismara Dining Tables are studied in great detail to ensure a flawless design products. 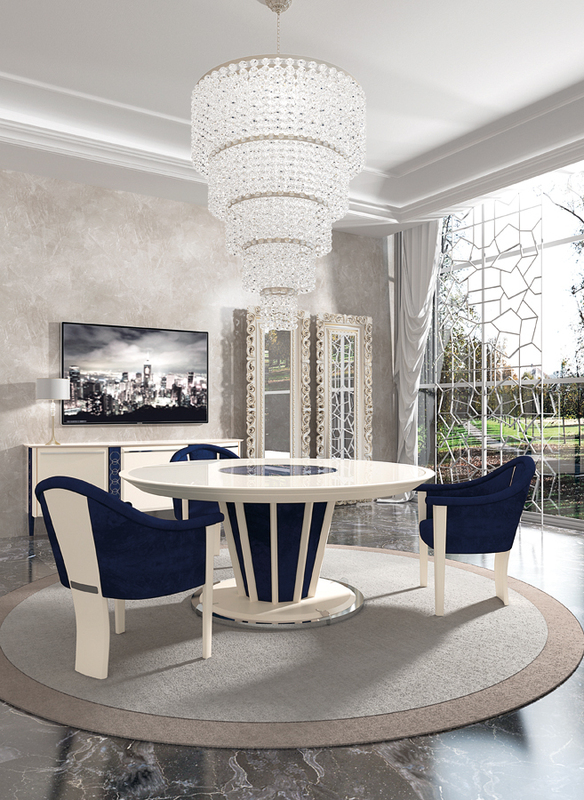 Both the circular and the hexagonal models are covered by an extra light color glass top that gives to the tables a shimmering look. 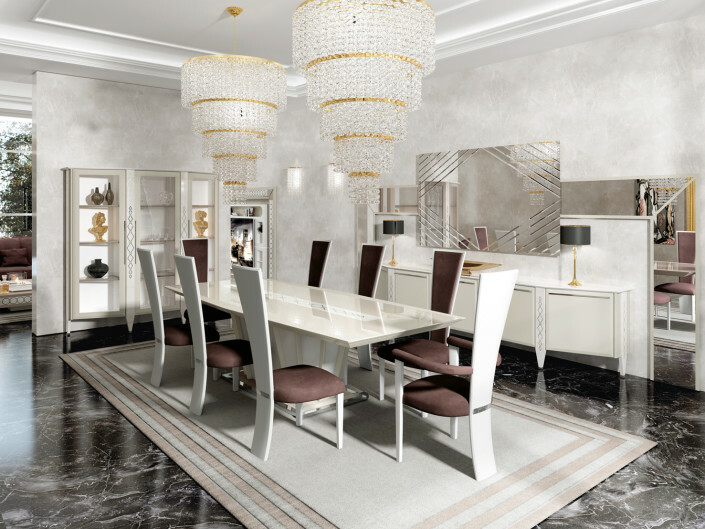 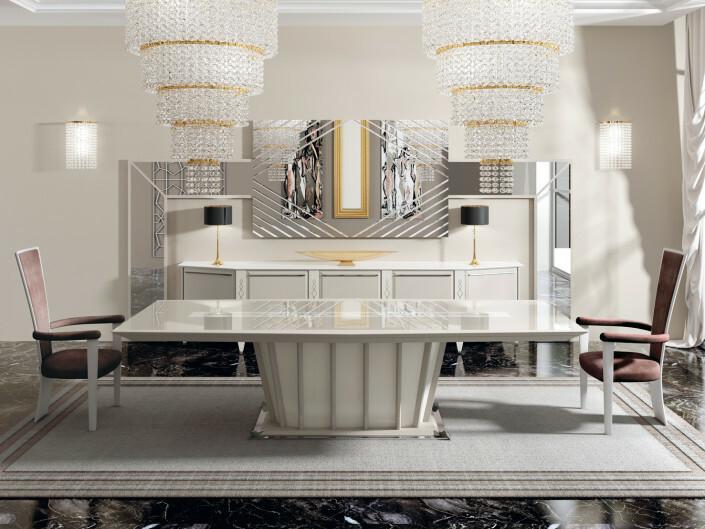 In the center of surface is placed a decorative insert made of precious materials, like embroidered leathers, marbles, inlaid woods, metallic fibers and much more. 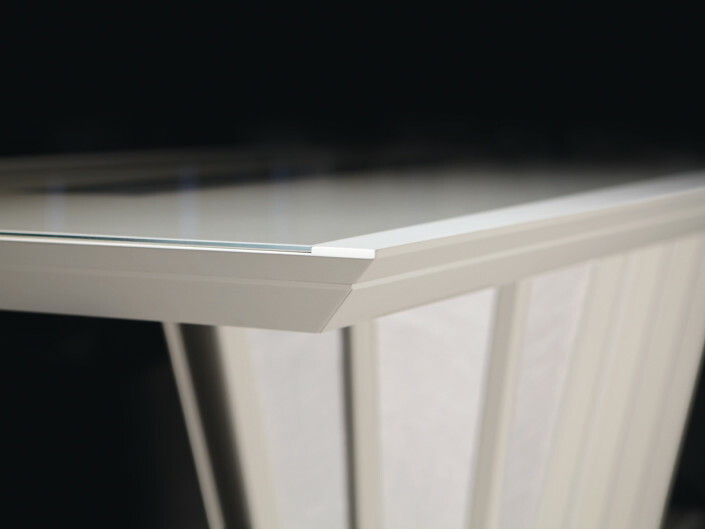 The base is a real artwork, made of refined materials and protruding parts which give dynamism and depth to the entire structure. 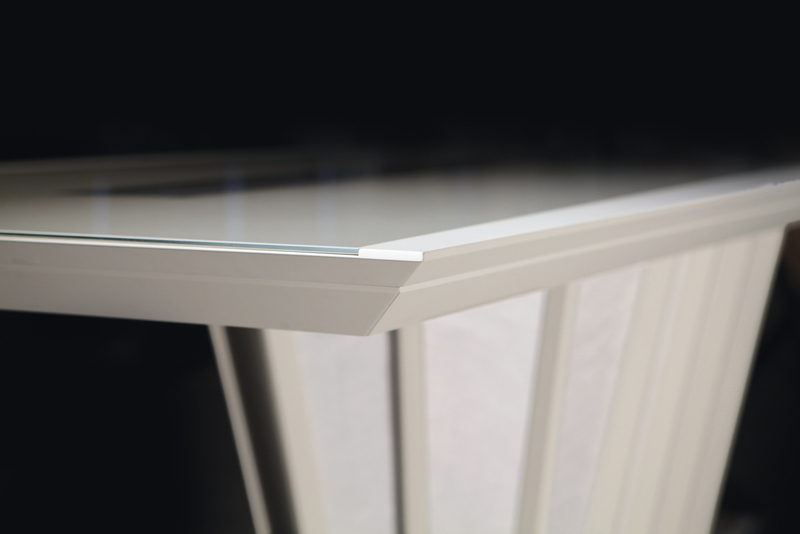 The stainless steel profiles on the base have a double function: decorate and protect. 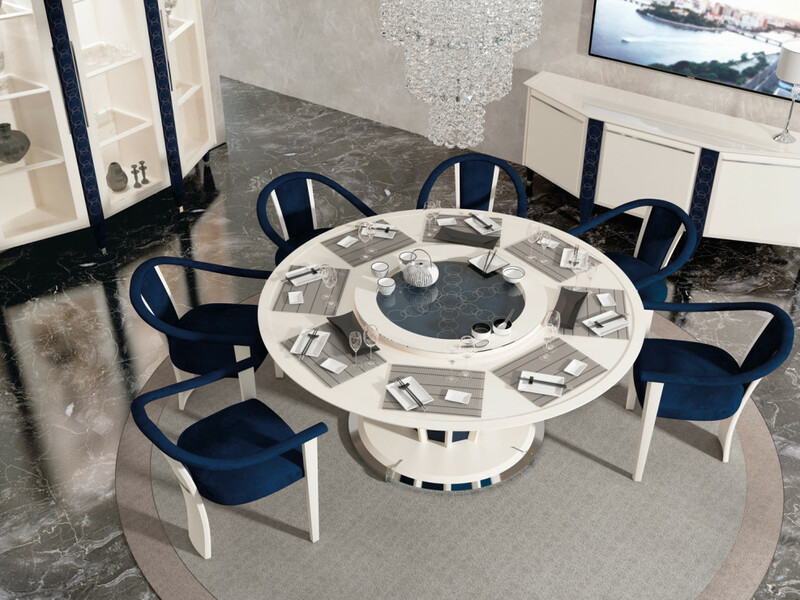 The round model can be enriched with Lazy Susan accessory, placed in the center of the table that permits to share dishes. 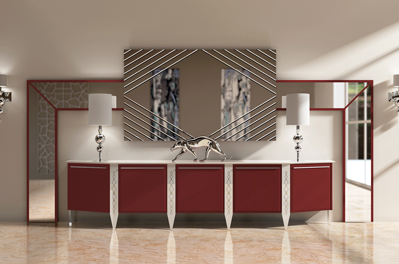 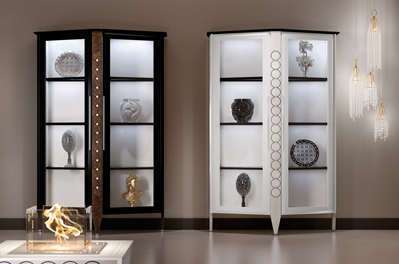 Colors, shapes, sizes, lacquering and materials can be freely customized on the basis of client needs.